Wild Courses is out-and-out heaven. Not only Kaiser and Kutner possess the necessary curricula and expertise; they are gifted with an intrinsic discernment of how the components of a vibrating guitar self-organize when stimulated in a knowledgeable way. Guitar Moderne interviews Álvaro Domene, in depth! 2 August 2018: Guitar Moderne, the number one website for creative guitar, just published an interview that Michael Ross did with Álvaro Domene. Follow this link for the edited version, or this one for the original. Álvaro Domene’s THE COMPASS is “Pick Of The Week” on Avant Music News, along with Coltrane! 3 July 2018: Avant Music News included Death Drag’s SHIFTED and Álvaro Domene’s THE COMPASS in it’s “Best of The First Half of 2018”. Check the list HERE. Bruce Gallanter from the Downtown Music Gallery reviews Iluso’s releases! STRAY [JOHN BUTCHER / JOHN RUSSELL / DOMINIC LASH / STALE LIAVIK SOLBERG] – Into Darkness (Iluso 09; Australia/USA) Stray features John Butcher on tenor & soprano saxes, John Russell on electric guitar, Dominic Lash on contrabass and Stale Liavik Solberg on drums & percussion. This internationally mixed quartet was recorded live at Iklektik in London in December of 2015. Both John Butcher and John Russell are leading lights of the London Underground Free Music scene, stretching back to the 1970’s. Both played together in the Chris Burn Ensemble, a trio with Phil Durrant which turned into a quintet called News from the Shed. A generation younger is London bassist Dominic Lash who is on some two dozen recordings although still in his thirties and is a member of Convergence Quartet, working with Alex Ward and the Wandelweiser composers. Scandinavian percussionist, Stale Liavik Solberg has turned up on discs with Joe McPhee, Steve Beresford and Paal Nilssen-Love (Pan-Scan Ensemble). DOMINIC LASH QUARTET With ALEX WARD / RICARDO TEJERO / JAVIER CARMONA – Extremophile (Iluso 06; Australia/USA) Featuring Ricardo Tejero on alto sax & clarinet, Alex Ward on electric guitar & clarinet, Dominic Lash on contrabass and Javier Carmona on drums. British bassist Dominic Lash seems to straddle several strands of the UK improv scene, playing with the Convergence Quartet (half British/half NY), from the intense improv (Tony Bevan) to the more subtle (Axel Dorner & Wandelweiser Collective). It makes perfect sense that Lash would choose fellow London extremist Alex Ward, who plays amazing clarinet (with Derek Bailey) and often brutal guitar. The other two members of this quartet are very familiar although Mr. Carmona has worked with Alexander Hawkins and Ingrid Laubrock. MICHAEL CARATTI / RACHEL MUSSON / STEVE BERESFORD – Hesitantly Pleasant (Iluso 07; Australia/USA) Featuring Steve Beresford on piano & electronics, Rachel Musson on saxes and Michael Caratti on drums. British keyboardist Steve Beresford is often the wild card in many situations/sessions since he is at home in so many different projects. Who else has worked with a cast like this: Derek Bailey, Evan Parker, John Zorn & Masada, the Melody Four, the Slits and Alerations. This set was recorded at the Vortex in Lonon in January of 2017 and features tow collaborators: Mike Caratti on drums (from Australia & co-runs this label) and Rachel Musson on saxes (CD with Federico Ughi, as well as with Olie Brice, John Edwards & Mark Sanders). 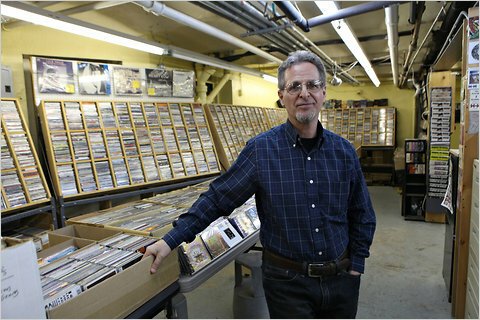 ‘The NYC Jazz Record Magazine’ interviews Iluso Records! 27th November 2017 – John Sharpe interviewed Álvaro Domene, Mike Caratti, Josh Sinton, and Dominic Lash for the December issue of the staple in jazz press, The NYC Jazz Record. Check out the December issue for free HERE! The article is below (click on the images). ‘El Intruso’ features and reviews our latest releases! 25th November 2017 – Sergio Piccirilli, from the fantastic and supportive website El Intruso, specialised in creative music, just featured an article on Iluso, in which he reviewed four of our latest recordings. Check it out HERE! 12 November 2017 – “Their spontaneous outpourings recall a wide array of musics in a flowing inventive stream which doesn’t deny its jazz roots…” **** ‘Hesitantly Pleasant‘ by Mike Carattti, Rachel Musson and Steve Beresford insightfully reviewed by John Sharpe on All About Jazz, check it out HERE. 25 September 2017: Giovanni Rusonello from the NY Times reviews Josh Sinton’s protest song “Evening of Mourning (Ferguson Goddam)” describing it as “a lament for racial justice evoking chaos and determination”. Read the review HERE. The Chicago Reader features MUSICIANER! September 2017: Peter Margasak, from the Chicago Reader, writes about Josh Sinton’s musicianer and their forthcoming album ‘slow learner’ out on September 25. Ears For Eyes reviews Iluso’s latest releases! “La Muerte Tenía Un Blog” reviews Extremophile! September 2017: Check out this great review of Dominic Lash Quartet’s Extremophile. (In Spanish). September 2017: Nice little feature on Musicianer by the good people at JazzBariSax.com. Musicianer SLOW LEARNER U.S.A. TOUR! September 2017: Josh Sinton’s MUSICIANER will be on tour soon to promote the release of “Slow Learner”. Check them out and buy the record! 9-29 – Rhizome in Washington, D.C.
‘Hesitantly Pleasant’ reviewed on ATTN Magazine! August 2017 – ‘Hesitantly Pleasant‘ by Mike Carattti, Rachel Musson and Steve Beresford receives a very positive review by Jack Chuter on ATTN Magazine. Check it out HERE. August 2017 -Jan Grainle from the well-respected European jazz website, Salt Peanuts, reviews “Live at The Firehouse Space” by Álvaro Domene and Briggan Krauss. Check it out HERE! August 2017 – Check out Bird is the Worm’s preview of Josh Sinton’s forthcoming release, “Slow Learner” HERE! ‘Hesitantly Pleasant’ reviewed by Something Else! 9 June 2017: ‘Hesitantly Pleasant’ by Caratti/Musson/Beresford is “a ridiculously endearing album which takes the listener on a corkscrew journey through different mindsets, concepts and ideologies.” Read the review by Sammy Stein here. 30 APRIL 2017: ‘Extremophile’ by Dominic Lash Quartet excellently reviewed by David Menestres on the Free Jazz Collective, check it out here. 24 APRIL 2017: ‘Extremophile’ by Dominic Lash Quartet excellently reviewed by Stewart Smith on The Quietus, read it here alongside other excellent album reviews. APRIL 2017: ‘Extremophile’ by Dominic Lash Quartet receives a glowing review from John Eyles on All About Jazz, check it out here. APRIL 2017: ‘Synaptic Self by dMu is a “determined, furiously dark, animalistic blast of metal-jazz improv…” according to Selwyn Harris’ review in the 20th Anniversary edition of Jazzwise magazine. Both this and ‘Live at The Firehouse Space’ by Domene/Krauss are reviewed in the UK’s best and biggest selling jazz magazine! MARCH 2017: Avant Music News names Dominic Lash Quartet’s outstanding album as a ‘pick of the week’ alongside other great releases, check out the list here. JANUARY 2017: Following a glowing review, Avant Music News has named dMu’s ‘Synaptic Self’ on its ‘Best of 2016’ list of albums alongside a host of other incredible releases, check out the list here. “This slab of aggression features the trio of Mike Caratti on drums, Josh Sinton on sax and bass clarinet, and Álvaro Domene on electric guitar. Channeling both free jazz and a punk/metal vibe, Domene’s heavily distorted riffing and speed picking are juxtaposed with drones and urgently angular melodies from Sinton. Underneath, Caratti provides staggered rhythms. DECEMBER 2016: dMu’s ‘Synaptic Self’ features on Andrey Henkin’s ‘Recommended New Release’ list in the December issue of the New York City Jazz Record. 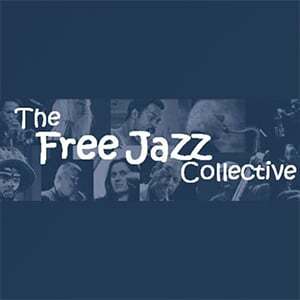 NOVEMBER 2016: dMu gets heavy rotation on the November 24 edition of the Tomajazz podcast, check it out here. NOVEMBER 2016: Pachi Tapiz, the man behind Spain’s most reputable jazz and creative improvised music website, Tomajazz, featured ‘Live at The Firehouse Space’ on his November 11 podcast, listen here. SEPTEMBER 2016: Scott Bishop from Life is Noise gives his anger management review of Low My Guy’s ‘Failure to Thrive’, describing the album as “seven completely improvised tracks of noisey, metallic chaos.” We think he likes it?! AUGUST 2016: Tune into RTRFM‘s ‘Out to Lunch’ program on 12 August 2016 at 2pm WST to hear Sandy interview Low My Guy as part of the station’s Radiothon week. Hear the band discuss their music and long-standing obsession with the world’s best radio station! Check the interview here and stream Out to Lunch anytime here. APRIL 2014: Thanks to Zona de Jazz for the nice review of ZÖBIK-3’s debut album. Here’s the link (in Spanish). MARCH 2014: We’re very happy to announce that Cuneiform Records/Wayside Music will distribute ZÖBIK-3‘s debut album. So, to recap, you can buy the CD from our website by clicking here, ZÖBIK-3’s, at the Downtown Music Gallery in NY, and at Wayside Music. YES! MARCH 2014: The most popular jazz website on the internet, All About Jazz, has featured a song from ZÖBIK-3‘s debut album as download of the week. The track has been downloaded close to 3,000 times so far! FEBRUARY 2014: ZÖBIK-3‘s debut album, “Öpik-3”, has been chosen as record of the week by the very popular avant-garde news website, along with work by Ben Goldberg, Wade Matthews, Javier Carmona and Dominic Lash. JANUARY 2014: Gran Masa and ZÖBIK-3 are now available for purchase at our favourite record store in the whole wide world, Downtown Music Gallery in New York City. Enjoy!